The Tropezian Coastal Path (Le Sentier du littoral tropézien is the tourist route favored by hikers. « Recommended Vintage year 2017 » by the guides of the Petit Futé, it has become a must-see destination for climbing and walking enthusiasts. You can also discover this 20-kilometer path through guided tours, including horseback riding or a donkey ride. 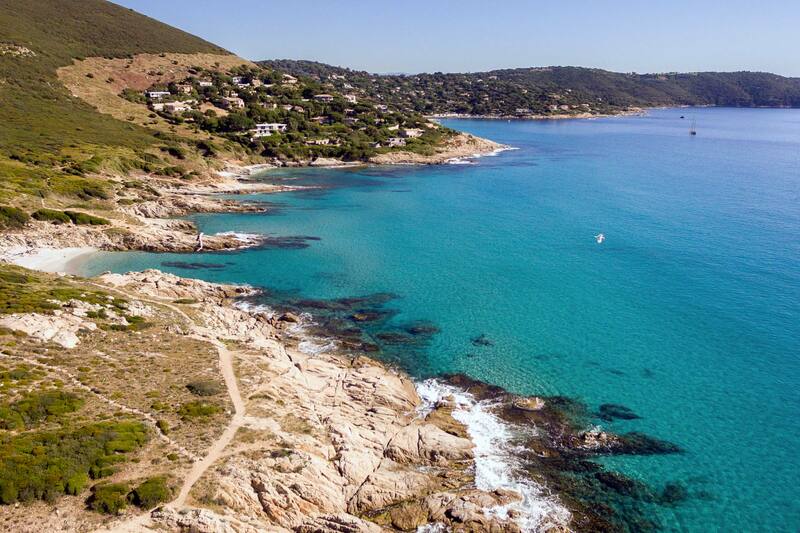 By taking this path, you will follow the same route as customs officers, who in ancient times guarded the coast of Saint-Tropez to Cavalaire. There is nothing like a beautiful spring day to take you into a territory where lush vegetation and historical relics reign supreme. It’s the perfect opportunity to discover the cultural heritage of the Var and to enjoy the riches of a preserved natural territory. We strongly recommend you take good walking shoes with you and don’t forget your picinic! Starting from the Tour du Portalet (The Portalet Tower), in the direction of the old quarters at the foot of the Citadel, When you face the sea that is when you see the famous path. You can contemplate between the capes and the peaks surrounding the Tropezian countryside. Walk further and soon after having walked the beach of Tahiti, you will travel along the vast bay of Pampelonne. Then you only have to climb to reach the Cap Camarat before coming down again to approach the beach of Escalet. From there the rocks overlooking the sea, hit with full force the wild mass area of the Moors of Cap Lardier. The Caps Taillat and Cartaye are not left behind nevertheless, and you’ll surely find them strikingly beautiful. Note that the Canebiers beach gets its name from the hemp plantations in the vicinity (a « canebier » is the hemp retailer). It also served as an anchor for ships in transit. As for Cap Saint-Pierre, its prominence comes from its favorable positioning on the heights of the beach of Canebiers. Ideally located to observe the maritime circulation, it helped people monitor if smugglers came ashore. Other amazing attractions include the beach of La Moutte. It is well known for the remnant of the wall of an ancient tuna trap. 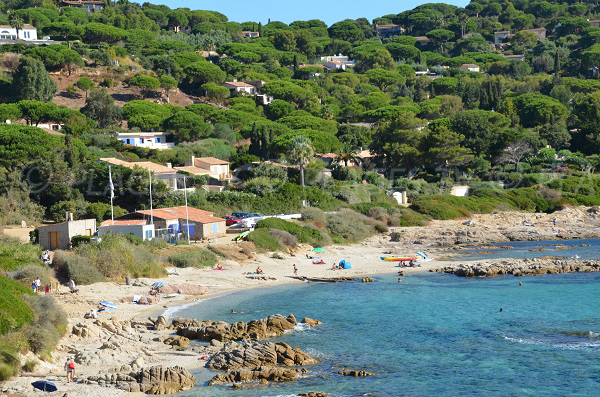 A rocky islet lies off the Croisette, offering a breathtaking view of the Esterel and as far as the Alps on a clear day. Concerning the beach of Salins, its shore still retains the remains of the coral once caught on the rocky reefs. An islet is visible in the distance, you see the Head of the Dog, where several ships have run aground.At the back of the beach there is a brackish pond, the remnant of an ancient saline bordered with a gorse and bamboo fencing. We wish you an outstanding hike! Cette entrée a été publiée dans Discover Provence, Holidays in South of France le 27 septembre 2017 par Boutemyblog.